Hello every one, its no more news that MTN has blocked all the so called Magic sims and have even gone ahead to block direct browsing with BIS on pc. But we at NetinfoNG.com dont give up on this networks, we have been able to make some new discoveries and have come up with something. MTN is back and blazing on PC using Tunnel Guru. Without wasting time lets get down to the steps. Get an mtn sim card and load 1000 naira airtime and subscribe for MTN BBC Plan, to do this ( Text BBC to 21600). If you are new to TunnelGuru please Click here and register for a free account, but if you are an old user like me, continue to the next step. Server : Select any UDP,ICMP server of your choice from the drop down menu. 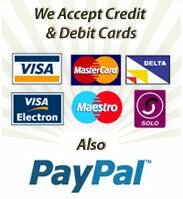 Now your are almost there, but before you can use your free account you need a "Tunnel Guru Voucher" Dont be scared, its just 600naira. Click here to get Unlimited Tunnel Guru voucher. Thanks admin you guys have done a good job, its fast. i got 510kbps download speed. Chris are u sure that does new mtn sims wont be disconneting like others. Because mtn is trying to frustrates nigerians bis pc users these days and u know what i mean man. Also what abt d data cap on it how do u know dat its unlimited? Please explain 2me in my fb inbox pls chris. @Anonymous, u did not comment with a name, so how do i reply u on your Facebook inbox??? Mine is working.....but the mtn is still disconnecting after like 10-20 minutes....what should i do sir?? its a new BIS, i just did the subscription this morning in a new sim and dosnt stay up 2 10 minutes.....any solution?? Not working for me; says DNS incorect that I should change it to something like 8.8.4.4. Maybe I could do it, but it showed it once and never show it but keep saying "please check if you have entered valid ID/Password..."
@Anonymous, please state the error or errors you get. @olumide yes sometimes you might get that DNS error at your first connect but just ignore and also make sure u connect your modem even before you open tunnelguru software and then untick "Tunnel DNS query", when it tries to connect it will tick correct DNS ip. @abbeyemi please do as i have instructed Olumide. @Anonymous, kudos to u for configuring correctly. @Tummy u dont have any problem, its working very well and fast, its what am using right now. @Anonymous, nothing in this life can ever last for ever! But I can tell u that VPN browsing last longer than https browsing. So all u hv to do is subscribe and enjoy while it last. This MTN disconnection is really frustrating....every 5-7minutes!!! @emi4chams, u re welcome..if i may ask is it a new sim u re using? @Daniels, not experiencing that with mine. Yeah, some of us are just being hit badly by this disconnection and I wonder why despite my full blown H+ signal!!! @Daniels, its disconnecting because you are not using a new sim card. @Chris Odu: there is a limit to which mtn will allow you to download, i notice that with mtn BBDAY the limit is 3GB, After which you will not be able to browse even if your plan has not yet expired. So therefore if you subscribe for mtn BBC(1month) also you will be given a specify limit to download. would like you to check that out please. Yes that's true, some locations its working without any complain. pls is this thing still still working, my tunnel guru keeps disconnecting, saying network issues. @doziej84, its still working very well, its what am using. working well for me in PH. @bell & chris, is it mtn BIS or BBC? @CHRIS, wats the settings of ur modem, is it Blackberr.net or the normal mtn settings? message has been sent to your inbox. I'm also experiencing the same thing, my tunnel guru keeps saying error in connection. It could just be a network problem from your area, i am online with it right now. the mtn keeps disconnecting even on a new sim card bought 2day so.....am confused....cos a better settings is needed for this to stay connected, do you know about the RAS(Modem) and NDIS connection types??? @Ernest, I guess its network..my phone is usually on 24/7. I have solved ur issue. MTN is becoming more and more stable, Tunnel Guru is blazing at 620kbps.. Yes it is blazing but stops at the MTN data cap. I have tried two different sims and they were both new subs. Ooh! I think some people are not just lucky and some are, bcus I have losts of ppl who have exceeded that data cap ish including myself. But am still working to find out why. @ Chris,I can't understand this thing is not working & you are asking us to subscribe ! @anonymous, pls who said its not working..I am currently using it to do all my works. @Chris,Pls help to find out if Multilinks Nigeria still working With TG. 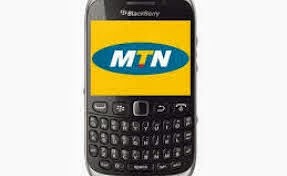 Also,is your MTN BIS with TG still working? @Anonymous, Multilinks NG is still working and as for MTN BIS thats what am currently using to reply ur comment. @chris, MTN BIS & tunnel guru still working. are you sure? @chris, hw did you solve the mtn disconnecting issue. @doziej84, please call me on phone. Pls am gettin ' error2 connection cannot be established. Wats d APN am to use? Update: MTN bis is still working very well with Tunnel Guru, although its not unlimited as before but its still cheaper than normal modem browsing Plan. wats d data cap now for monthly subscription? Hi,I will appreciate it a lot if you could send me the way i could solve the disconnecting issue on mtn bb..I am freaking tired of it!! i dont think theres anything that can be done about the disconnecting issue.. i think its an auto-disconnection thing directly from the network. and @chris, and yes im using a new sim and my bbc sub started yesterday. TG vpn connects and works fine for me right now and the connection stays on as long as ure browsing normally, but the moment you attempt to download a file it autodisconnects after a few minutes into it. Ive tried glo sim following the settings you provided, but it didnt work when i try to connect TG, any help on tht will be much appreciated. -make sure u go to your usb modem dashboard, create a new connection profile and set apn only as "blackberry.net" (without the quotes of course), leave user/pass blank. -disable all other proxy/vpn software that you have on your system. -download the latest TG software (be sure to pick exactly your OS version 32bit or 64bit). -set administrator/compatibility privileges for TG if necessary. -follow the the settings the OP posted here and all should be fine. (but make sure its UDP protocol u select on TG and not ICMP this time around). These are just basic steps i feel you should try first and if TG still dont connect for you, then u might probably want to go into cmd/ipconfig where u can release, renew, flush your dns etc. I'm using win7 ultimate 64bit, and this is the first time i set TG up on this new pc and it worked..i have TG on my old system and still works there as well. @Dals, its suppose to accept it, can u create a new profile on the desktop manager? Each met connecting flights at the same connecting airport. The first group praised the airline for giving them the best assistance they had ever experienced. Surprisingly, every member of the second group cursed the same airline for their poor performance stating "they were the worst." The bottom line of your airlines' performance depends on the airport staff, the airline staff, and the airline crew on duty at the time you check into the airport and board your aircraft.